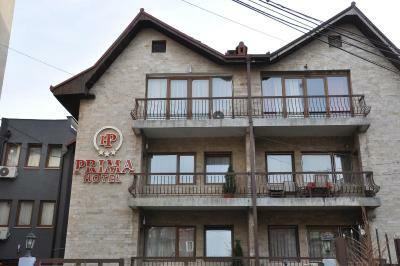 Lock in a great price for Hotel Prima - rated 9.1 by recent guests. 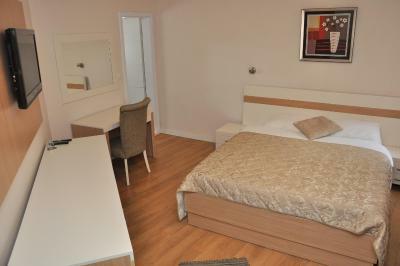 Very spacious rooms, good breakfast and welcoming staff. They were happy to organise trips to nearby attractions and transfer to and from the airport. Hotel Prima was fantastic. The family running the hotel was very helpful with seeing Kosovo. Breakfast every morning was delicious. The staff was very friendly and service minded About cleaning: The trash bin was full upon our arrival, but not a big deal. 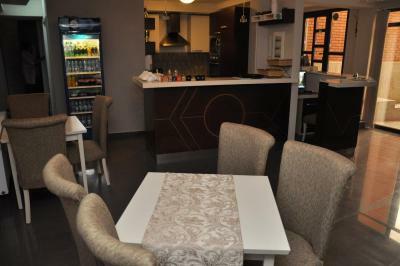 Prima was in an excellent location few minutes walk from centre. 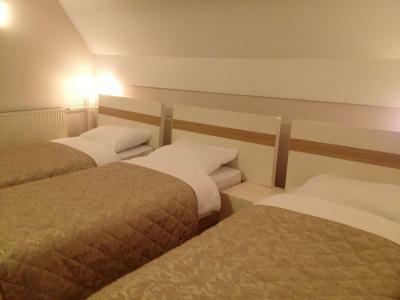 The room was nice and clean and the bed very comfortable with extra pillows. The breakfast was ample with fresh cooked omelettes available. And the staff were fantastic, always helpful and very friendly. 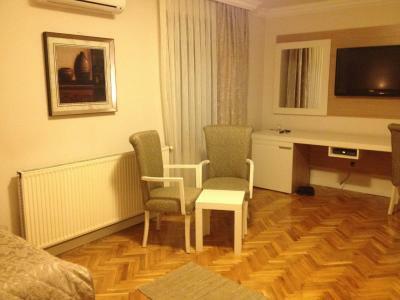 close to center,clean rooms,very kind and helpful personel also owners can speak Turkish this was an extra advantage for us. 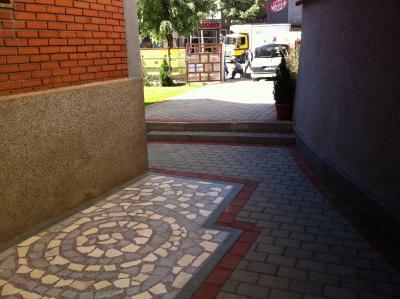 After the minibus trip from Skopje, this lovely little hotel was a welcome reprieve. The elderly lady who runs the place managed to make me feel very welcome, despite her limited English, and also recommended a very good restaurant (Liburnia) with local food for dinner. 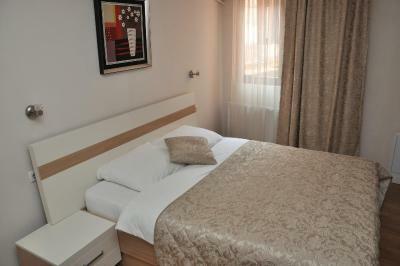 Comfortable bed, spotless room, and good breakfast. This place is an oasis from the streets of the Wild West that is still Prishtina. The staff was very friendly and we had a good breakfast. 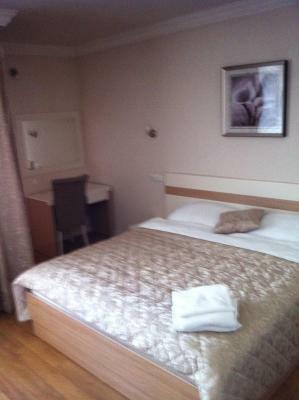 The location was very convenient to go to the city centre. The staff were excellent, suggesting places to visit, how to get there and ringing taxis when appropriate. I had a number of friendly conversations over breakfast and at the end of the day, adding to the homely feel. 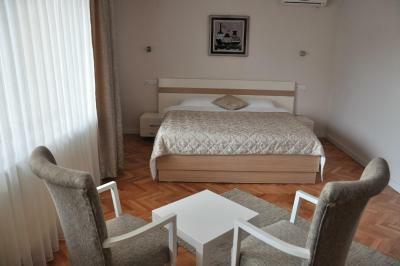 The hotel is also very close to the centre of Prishtina, making it exceptionally convenient yet also quiet. Sweet little hotel run by a kind and helpful family. 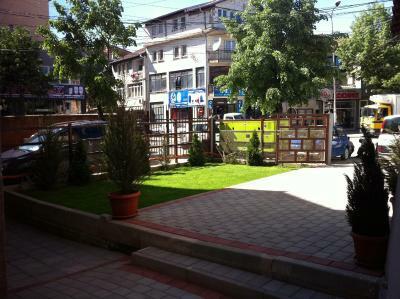 Grocery store right across the street and two of Pristina's best restaurants - El Greco and Liburnia - just two blocks away. Our room faced the back (no balcony) and was very quiet. Good value for the money and I recommend it highly. 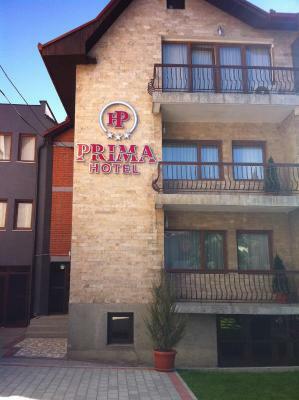 One of our top picks in Pristina.Hotel Prima is located in the centre of Prishtina Old Town, just 350 yards from Mother Theresa Square. 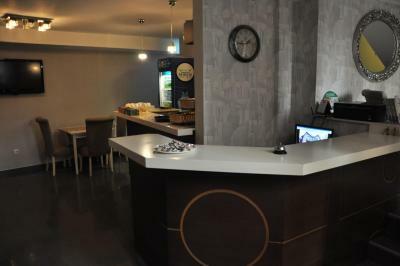 The hotel features a bar with a summer terrace, free Wi-Fi and free parking. Numerous important sites and institutions are located just a few steps away. 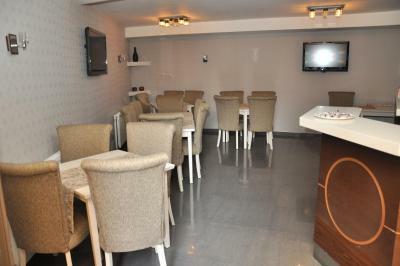 All rooms at Prima Hotel are fitted with air-conditioning, a minibar, flat-screen TV and a seating area. 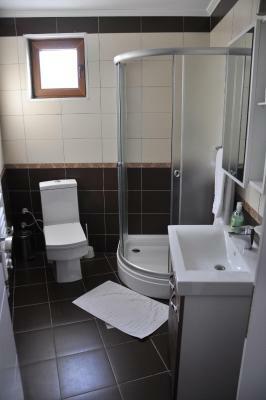 Private bathroom features a hairdryer and free toiletries. 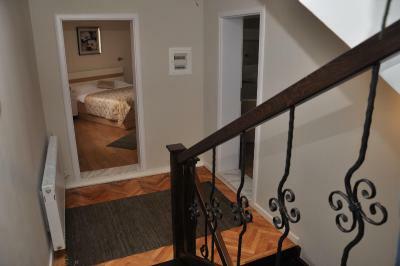 Some rooms also feature a balcony. 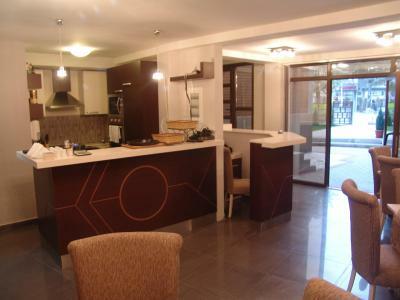 The hotel is surrounded by numerous bars, restaurants and night clubs. Closest restaurant is 200 yards away and serves local and international specialties on a summer terrace. A grocery shop can be found 20 yards away. Guest can visit a fitness centre, located 150 yards from the property, while a Spa Centre with an indoor pool is 350 yards away. Gërmia Park can be reached in just 1.6 miles. Local buses stop 50 yards away. Main Bus Station is 1.2 miles away, while the Train Station can be reached in 0.6 miles. Pristina Airport is 9.3 miles away. 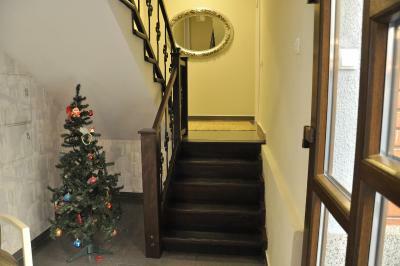 This property is also rated for the best value in Pristina! Guests are getting more for their money when compared to other properties in this city. 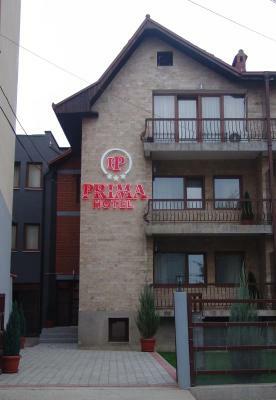 Hotel Prima has been welcoming Booking.com guests since 6 Dec 2012. When would you like to stay at Hotel Prima? Air-conditioned room featuring a seating area, a flat-screen TV and a minibar. 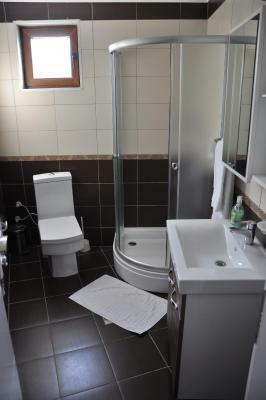 Private bathroom provides a hairdryer and free toiletries. Some rooms come with a balcony. 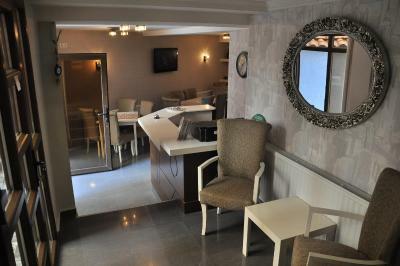 Air-conditioned room featuring a seating area, a flat-screen TV and a minibar. 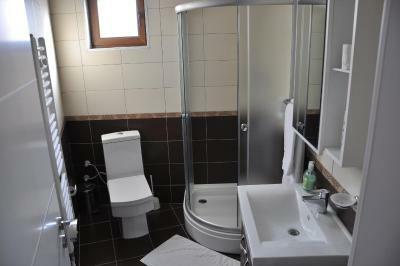 Private bathroom provides a hairdryer and free toiletries. Rooms are fitted with a balcony. House rules Hotel Prima takes special requests - add in the next step! Hotel Prima accepts these cards and reserves the right to temporarily hold an amount prior to arrival. 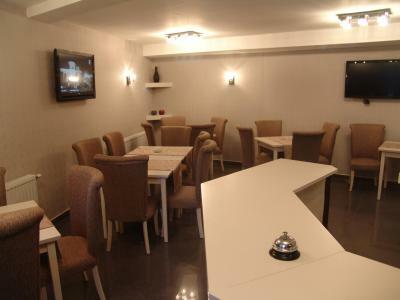 Good, basic hotel in the city center. Breakfast was just fine, outside noise was minimal at night. Could easily hear other guests, but thankfully they were all as quiet and respectful as I try to be. People of Kosovo are always generous and friendly, a pleasure to visit! None. Highly recommended. Susanna, the owner is a perfect and gracious host. Busy street was a bit noisy. Close to center for a good price. Excellent restaurant advice from staff. Nice breakfast. a very simple breakfast ,you have to carry your luggage to the rooms there is no one who can help you,also there is no room service no telephone in the rooms and no water and water heater. Other than the city itself, which frankly is still a bit of a disaster compared to all of the other Balkan capitals I've visited, I really can't fault this small hotel. 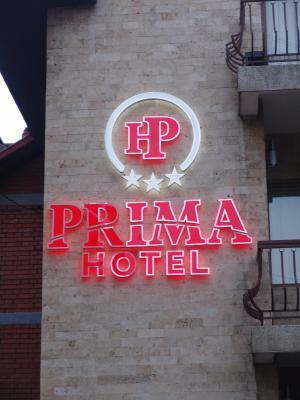 If you ever find yourself stuck in Prishtina (because I can't imagine why you'd be there otherwise), this hotel is the perfect place to stay.